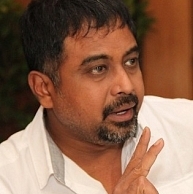 People who are active in social networking platforms would have been aware about the recent MEMES and trolls associated with director/producer Lingusamy in connection with his recent film Anjaan. Although the producer/director himself has not come forward to comment on this not-so-nice campaign against him, director Venkat Prabhu is the first one to have voiced his opinion on this unhealthy practice, in his personal social networking platform. It has to be noted that Venkat Prabhu was associated with Lingusamy in Ji starring Ajith. The Mankatha director says, “Lingusami Saar is a great film maker!! I worked with him in Ji!!! Every creator is not god!! Even God made mistakes in his creations!! So who are we to judge! !” Quite true indeed! People looking for online information on Anjaan, Lingusamy, Lingusamy memes and trolls, Venkat Prabhu will find this news story useful.